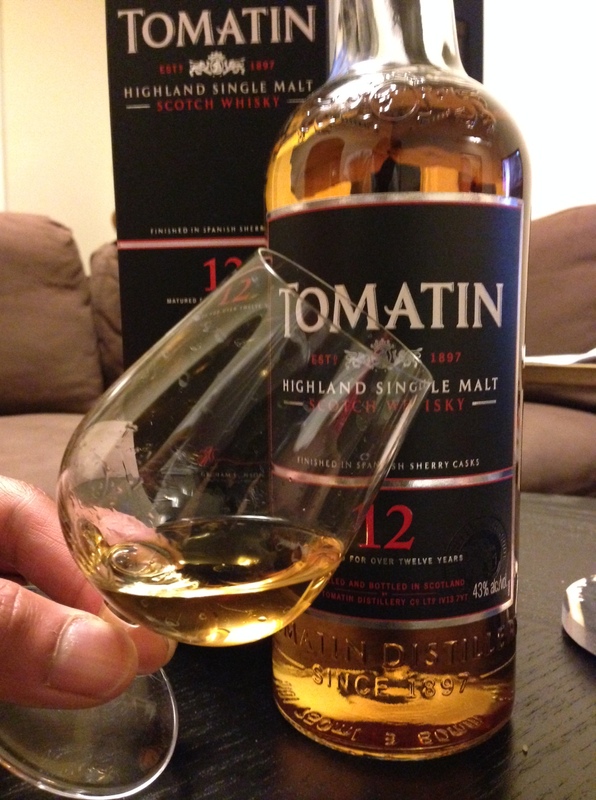 NOSE: Tomatin brought grains and bread to mind on first sniff. Heavy in the malt and wheat bread smells. Then figs and juicy pear sweetness. With the addition of spring water toffee and vanilla caramels and a stronger pear fragrance arrived. For being 12 years old, it has developed a very complex nose. PALATE: At first sip the pear comes right out, along with granny smith apples without the tartness. Spice and oak develop on the tongue while swirling it around. Freshly grated nutmeg and sweet salt-water taffy. FINISH: The finish here is much longer than expected, but single noted with an interesting cigar box like finish. Spicy and drying. I’d seen this scotch at my liquor store forever and it was always on sale for $25. Since it was always on sale I never wanted to pick it up. And then it went on sale for $18 dollars and I said I have to have it. Even if it’s bad, I’ll still feel good about trying it. Who knew that it would be far more complex then I ever thought it would be. Why is no one buying this?? My guess is, it’s the perception of price to quality. No one wants to buy something that’s always on sale because they assume it’s of poor quality. This is still a Scottish single malt, aged for 12 years and spending time in expensive sherry casks. This is a nice neat drinker and probably solid in your Rob Roys or Bloody sand cocktails. Reach outside of your norm and enjoy! Previous Post A whisky by any other name… might not be whiskey!